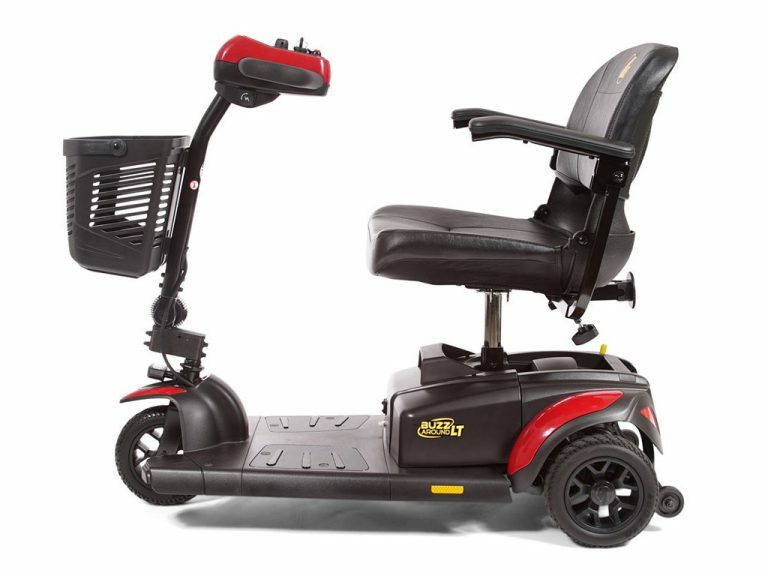 The Buzzaround LT by Golden Technologies is the lightest and most compact model of the beloved Buzzaround travel scooter series. Though pared-down in mass, the LT boasts an incredible 300 lb. weight capacity and even more foot room than its Buzzaround Lite predecessor. For convenience, a charging port has been added to the tiller for exceptionally easy access. The Buzzaround LT has all of the wonderful standard features you’ve come to know and expect from the Buzzaround scooter series. 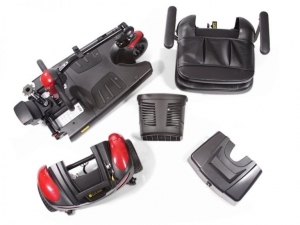 You’ll enjoy a plush, stadium-style padded seat with width-adjustable, flip-back armrests and 3″ of seat height adjustability for maximum comfort. The delta tiller can be easily operated with just one hand and the angle of the tiller is adjustable with the simple turn of a knob. The newly updated front basket is now made of hard plastic so it’s even more durable than before. 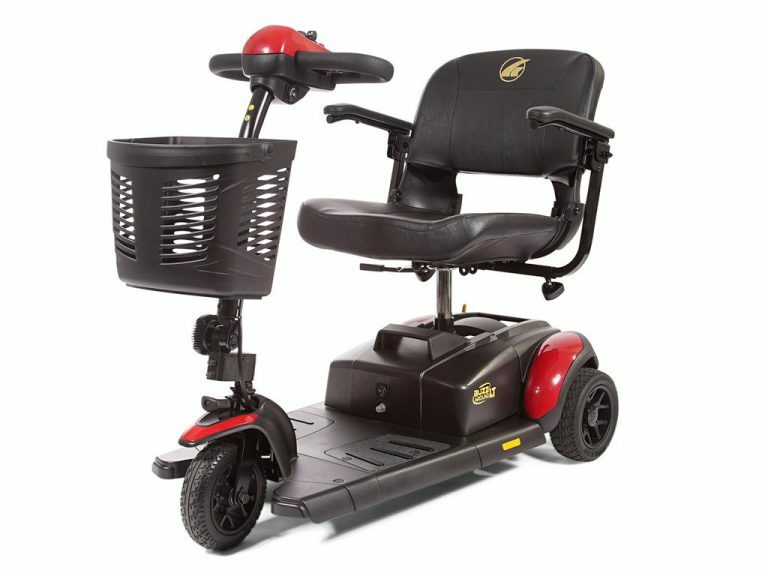 Additionally, the Buzzaround LT comes with a lifetime warranty on the frame, a two-year warranty on the drive train and electronics, and comes standard with a one-year warranty on the batteries. Enjoy its tight indoor maneuverability and smooth outdoor use with 3″ of ground clearance!